Can you identify the property in this photograph? 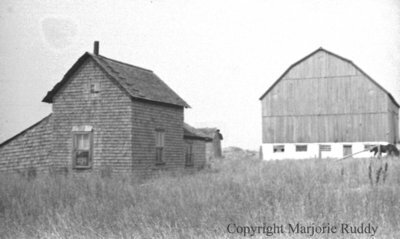 Black and white negative of an unidentified house (left) and barn (right). There is a horse at the side of the barn. Unidentified Homestead, c.1945, Marjorie Ruddy. Whitby Archives A2013_040_856C.